If you’ve lived in the apartments in SF for any period of time, you probably know that this beautiful slice of The Bay has something of a reputation as a foodie-town. Once February rolls around, the events start heating up — kind of like a kickoff to another year’s worth of food-related celebration all around town. There are more than a few positively riveting special events on the calendar, along with several others you can technically catch anytime, but might want to take advantage of in the coming month to get in on that “Foodie February” vibe. Read on, as we explore what all is coming up. You like tater tots, don’t you? No surprise there, as these are one of America’s most delectable and mythical treats. Lucky for you, then that February 2nd is National Tater Tot Day, and the SoMa StrEat Food Park is celebrating with their 4th annual National Tater Tot Day potato party. 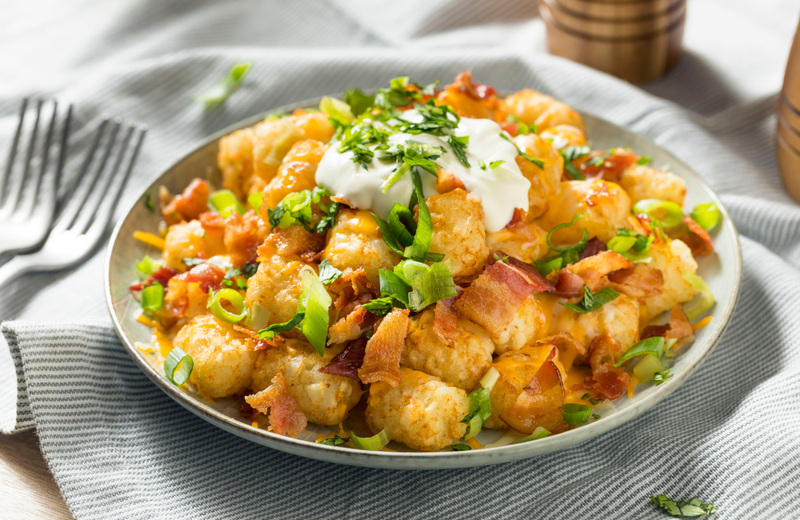 Running from 11:00AM to 5:00PM, this event won’t just feature a stacked lineup of vendor trucks serving delicious, golden brown tots for you to enjoy. There will also be a live DJ spinning funky tunes for you to groove to while you down those taters — any way you like them. Ever sampled crabs in the “old fashioned” Portuguese style? Head to Sausalito on the 2nd for the IDESST Traditional Portuguese Cold Crab Dinner Fundraiser & Dessert Auction and you’ll finally have the chance. Well-respected chef, Manuel Azevedo, will be cooking up an amazing feast, and for a nominal ticket price, you can get yourself a taste of that delicious food. Funds from ticket sales will be going to support the Festa do Espírito Santo come spring a major part of Sausalito history and another event you’ll definitely want to be a part of. Don’t miss out! February is also the month in which San Francisco Beer Week occurs, and that will ensure plenty of exciting events all on its own. Taking place from February 1st to February 10th, there are plenty of days for you to head out and experience the city’s love of beer. February 1st, for instance, is the first day of Beer Week, and will feature the Opening Gala, the “largest, most anticipated, and prestigious annual gathering of the Northern California craft beer community.” Head down to Pier 35, and you too can celebrate with the masses, enjoying some of the most “creative and compelling” beers the region has to offer, along with a hearty selection of food vendors who will be selling for the event. On that second day of Beer Week, there’s another kick-off event taking place at SPARK Social SF, on Mission Bay Boulevard North, from 12:00PM to 2:00PM. This outdoor picnic will have more than ten amazing food trucks lined up and serving some delicious eats. And, of course, there will be plenty of craft beer for you to enjoy and a commemorative Beer Week glass for you to sip it all from. There will even be tournaments, with prizes for those with the best pinball skills. This one has a tendency to fill up early, so make sure you snag your tickets quickly. And there will be plenty more Beer Week events going on in the following days, so be sure to check the calendar to see everything that will be going on in early February. Let’s suppose that walking around and drinking beer while scarfing down food-truck eats isn’t quite your thing. Perhaps you’d enjoy a luxury wine and chocolate experience aboard a classy yacht instead? That’s what Taste TV’s 9th Chocolate & Wine Cruise is promising, where you’ll sail The Bay and “walk among various artisans” while enjoying their sumptuous wares. There will be local chocolate, wine, toffee, and more for you to sample, and when it’s all said and done you’ll be able to take home some of the amazing food and wine you’ve discovered. Remember that this is going to be a rather exclusive event, however, and admittance to the Chocolate & Wine Cruise is limited to a scant 130 guests. Better get those tickets early so you can be one of the lucky visitors to enjoy the cruise. They’re going at $55/pop, and you can find them courtesy of the Chocolate & Wine Cruise’s Eventbrite page. Love Sushi? Of course you do. Ever thought of making your own? That seems likely, and if the answer is indeed “yes,” you’ll want to check out Chef Kaz Matsune’s Sushi Making Class and Saturday Brunch. The legendary sushi master will be telling his story of entering the wide world of sushi, and will be sharing some of his techniques with attendees, regardless of their level of experience. This will be your opportunity to learn the ropes of making sushi, while enjoying some great food and hanging out in a friendly atmosphere. Be sure to grab tickets and head to the Miele San Francisco Experience Center on February 9th! No doubt these celebrations of all things food and drink will be exciting, but once that excitement is through you’ll no doubt need to rest up somewhere that’s quiet and relaxing. No place fits the bill better than Vintage, the amazing apartments that put resident comfort and convenience into crystal clear focus. Ready to lay your head in the lap of luxury? Check out everything Vintage has to offer and make this your first choice for premier living in The Bay Area.